Home / Home Buying / Is an adjustable-rate mortgage right for you? So you’ve figured out how much home you can afford and now you’re wondering which kind of mortgage you should get? You are probably asking yourself Should I get a fixed- or adjustable-rate mortgage? We can help. The big divide in the mortgage world is between the fixed-rate mortgage and the adjustable-rate mortgage (ARM). Why two kinds of mortgages? Each appeals to a set of customers with different needs. Read on to find out which one makes sense for you. A fixed-rate mortgage is what most people think of when they imagine how to finance a home purchase. When you get a fixed-rate mortgage, you’ll commit to a single interest rate for the life of the loan. That rate depends on market interest rates, on your credit score and on your down payment. If interest rates are high when you get your mortgage, your monthly payments will be high too because you’re locked in to the fixed rate. And if interest rates later go down you’ll have to refinance your mortgage in order to take advantage of the lower rates. To refinance, you’ll have to go through the hassle of putting together your paperwork, applying for a mortgage and paying for closing costs all over again. The big draw of the fixed-rate mortgage, though, is that it gives the homebuyer some certainty in an uncertain world. Lots of things can happen over the life of your mortgage: job loss, uninsured illness, tax increases, etc. But with a fixed-rate mortgage, you can be sure that a hike in the interest you pay each month won’t be one of those financial snags. With a fixed-rate mortgage, the lender bears the risk that interest rates will go up and they’ll miss out on the chance to charge you more each month. If rates go up, there’s no way they can increase your payments and you can rest easy. In other words, the fixed-rate mortgage is the dependable option. You couldn’t afford a rise in your monthly payments. We would advise against stretching your budget to afford a house and we recommend homebuyers leave themselves an emergency fund of at least three months, just in case things get hairy. If a rise in interest rates would leave you unable to make your mortgage payments, the fixed-rate mortgage is the one for you. Those without a lot of financial cushion, or people who simply want to put extra money toward padding their emergency fund or contributing to retirement plans, should probably stay away from an adjustable-rate mortgage in favor of the predictability of the fixed-rate loan. You want to stay in the house for a long time. Most Americans don’t stay in their homes for more than 10 years. But if you’ve found that perfect place and you want to stay there for the long haul, a 30-year fixed-rate mortgage makes sense. Yes, you’ll pay a decent chunk of change in interest over the life of the loan, but you’ll also be protected from rises in interest rates during that long period of time. The reason rates are higher for 30-year fixed-rate loans than they are for shorter-term loans and ARMs is that banks need some sort of insurance that they won’t regret lending to you if rates go up during the life of the loan. In other words, banks are giving up their flexibility to raise your rates when they give you a fixed-rate mortgage. You make this up to them by paying higher rates. If you commit to paying more each month for a fixed-rate mortgage and then leave the home before you’ve built much equity, you’ve essentially overpaid for your mortgage. The recent financial crisis left a lot of people feeling pretty spooked by debt. It’s important to be aware of your comfort with different levels of risk before you take on a home mortgage, which for many Americans is the biggest piece of debt they will ever have. If knowing that your mortgage interest rates could increase would keep you up at night and give you heart palpitations, it’s probably best to stick with a fixed-rate mortgage. Mortgage decisions aren’t just about dollars and cents—they’re also about making sure you feel good about the money you’re spending and the home you’re getting for it. Not everyone needs the dependability of the fixed-rate mortgage. For those borrowers, there’s the adjustable-rate mortgage. It is also known as the ARM. 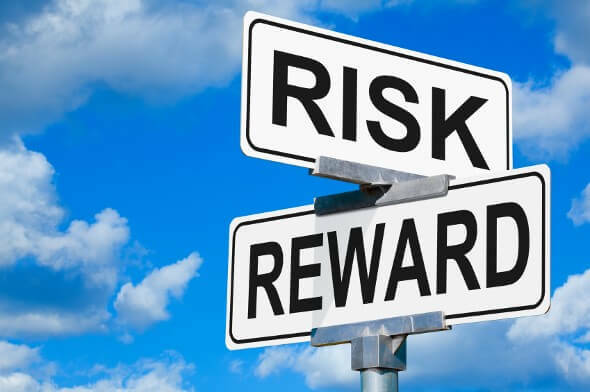 With an ARM, you carry the risk that interest rates will rise — but you also stand to gain more easily if rates go down. Plus you get lower introductory rates. Those lower introductory rates are usually what draw people to an ARM, but they don’t last forever so it’s important to look beyond them and understand what could happen to your rates during the life of the loan. What is an adjustable-rate mortgage? A simple adjustable-rate mortgage definition is: a mortgage whose interest rate can change over time. Here’s how it works: It starts off very similar to a fixed-rate mortgage. With an ARM you commit to a low interest rate for a given term, usually 3, 5, 7 or 10 years depending on the loan you choose. Once the fixed-rate term ends, your interest rate becomes adjustable for the rest of the life of the loan. That means your interest rate can go up or down, depending on changes in the interest rate that acts as the index for the mortgage rate, plus a margin, usually between 2.25% and 2.75%. In other words, your interest rate and monthly payments could go up, but if they do it’s probably because changes in the economy are raising the index rate, not because your lender is trying to be a jerk. The index rate that drives changes in mortgage rates is usually the LIBOR rate. LIBOR stands for “London Interbank Offered Rate.” It’s an interest rate derived from the rates that big banks charge each other for loans in the London market. You don’t need to worry too much about what it is, but you do need to be prepared for what it could do to your monthly payments. How do you know what to expect from an ARM? Lenders list adjustable-rate mortgages in a way that tells you the length of the introductory rate and how often the rates will readjust. 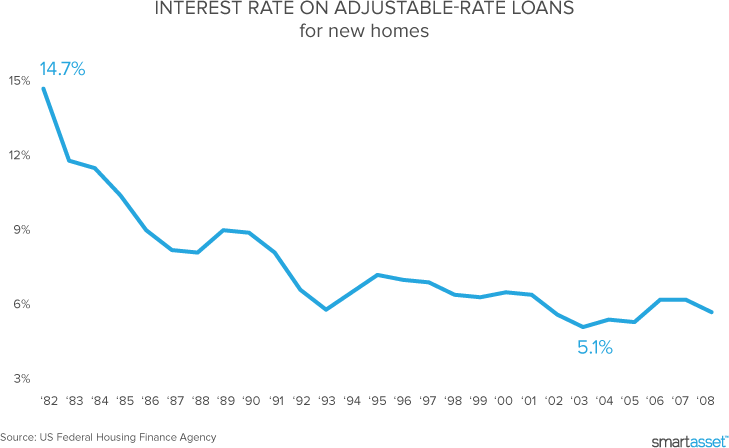 A five-year adjustable-rate mortgage doesn’t mean you pay off the house in five years. Instead, it refers to the length of the introductory term. For example, a 5/1 (“5 by 1”) ARM will have an initial term of five years, and at the end of those five years your interest rate will adjust once per year. Most ARMs adjust yearly, on the anniversary of the mortgage. Now that you know the formula you’ll be able to decipher the most common forms of adjustable mortgages - the 3/1 ARM, 3/3 ARM, 5/1 ARM, 5/5 ARM, 10/1 ARM and the 7/1 ARM. Note that a 3/3 ARM adjusts every three years and a 5/5 ARM adjusts every five years. Some loans defy this formula, as in the case of the 5/25 balloon loan. With a 5/25 mortgage, your interest rate is fixed for the first five years. It then jumps to a higher rate, which is yours for the remaining 25 years of the 30-year mortgage. Always read the fine print. Your lender will also tell you the maximum percentage rate-change allowable per adjustment. This is called the “adjustment cap.” It’s designed to prevent the kind of payment shock that would occur if a borrower got slammed with a huge rate increase in a single year. The adjustment cap for ARMs with a five-year fixed term is usually 2%, but could go up to 4% for loans with longer fixed terms. It’s important to check the adjustable-rate mortgage caps for any home loans you’re considering. A good ARM should also come with a rate cap on the total number of points by which your interest rate could go up or down over the life of your loan. For example if your total rate cap is 6%, your rate will stay at the introductory rate of 2.75% for five years and then could go up 2% per year from there, but it would never go above 8.75%. You know you won’t be in the home for long. Adjustable-rate mortgages start with a fixed-rate term, usually up to five years. If you’re confident you will want to sell the home during that first loan term, you stand to gain from the lower initial interest rates of an ARM. Many people who choose ARMs do so for their “starter” homes and then sell and move on before getting hit with an interest rate increase. Maybe you’re planning to move to a different city in a few years, or you know you want to start a family and you’ll need to find a bigger place. 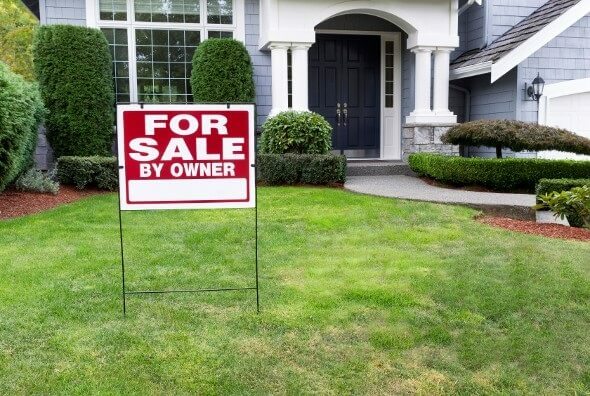 If you don’t picture yourself growing old in the house you’re buying — or specifically staying for more than the fixed-rate term of the loan — you could get an ARM and reap the benefits of the low introductory rates. Just remember that there’s no guarantee you’ll be able to sell the home when you want to. You want to avoid the hassle of a refinance. If you get an ARM and interest rates drop, you can sit back and relax while your monthly mortgage payments drop as well. Meanwhile, your neighbor with the fixed-rate loan will need to refinance to take advantage of lower interest rates. Lots of people only talk about the worst-case scenario of the ARM, where interest rates go up to the maximum rate cap. But there’s also a best-case scenario: a buyer's monthly payments go down during the variable term of the loan because market interest rates are falling. Of course, interest rates have been so low lately that this scenario isn’t terribly likely to occur in the near future. You’ve budgeted for a possible interest-rate hike. If you’re certain that you could afford to pay more each month in the event of a rise in interest rates, you’re a good candidate for an ARM. Remember, there is a maximum rate hike attached to every ARM, so it’s not like you have to budget for 50% interest rates. An adjustable-rate mortgage calculator can help you figure out your maximum monthly payments. The lending market has gotten more consumer-friendly since the financial crisis, but there are still some pitfalls out there for unwary borrowers. One of them is the option ARM. It doesn’t sound too bad, right? Who doesn’t like options? Well, the problem with the option ARM is that it makes it harder for you pay off your mortgage. It’s the kind of mortgage that a lot of borrowers signed up for before the financial crisis. With an option ARM, you’ll have a choice between making a minimum payment, an interest-only payment and a maximum payment each month. The minimum payment is less than a full interest payment, the interest-only payment just takes care of that month’s interest and the maximum payment acts like a normal loan payment, where part of the payment eats away at the interest and part of the payment builds equity by cutting into the principal. If you make the minimum payment, the amount of interest you don’t pay off gets added to the total that you owe and your debt snowballs. Option ARMs can lead to what’s called “negative amortization.” Amortization is when the payments you make go to more and more of the principal and the loan eventually gets paid off. Negative amortization is when your payments just go to interest — and not enough interest at that — and you find yourself owing more and more, not less and less, over time. If you’ve made it this far, you’re a savvy borrower who knows the difference between a fixed-rate mortgage and an ARM. You understand the fixed-rate and adjustable-rate mortgage pros and cons. It’s time to think about how long you want to stay in your new home, how risk-tolerant you are and how you would handle a rate hike. You’ll also want to take a look at the fixed- and adjustable-rate mortgage rates that are available to you.